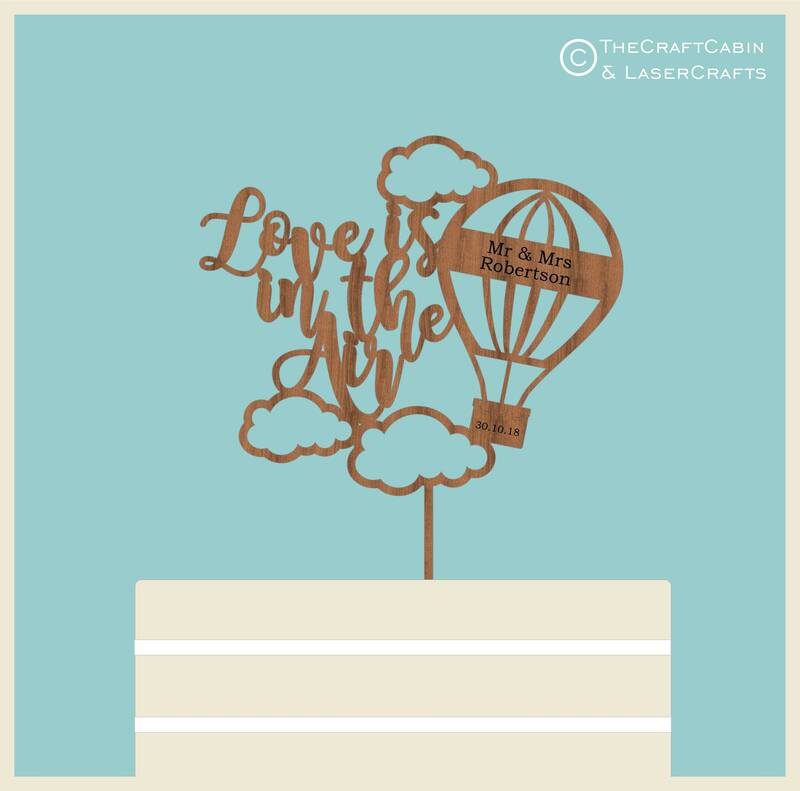 Love is in the air - Hot Air Balloon - Wooden Personalised Cake Topper. Vintage, Rustic Weddings, Cake Decoration. Beautiful, laser cut cake topper. Cut from 3mm high quality hardwood plywood. Suitable for: weddings, anniversaries, birthdays etc. 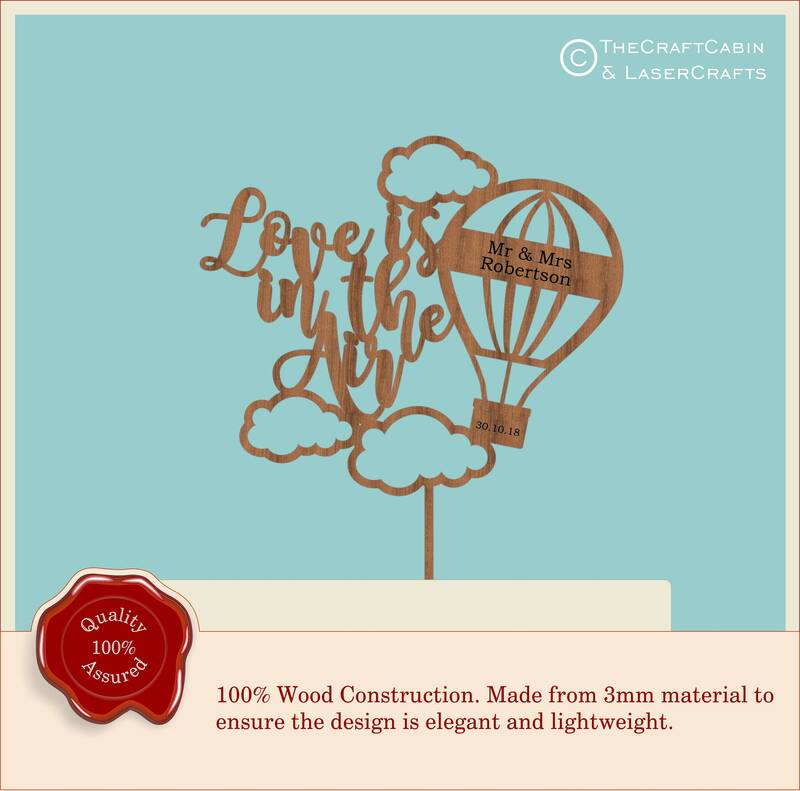 Love is in the Air - Hot Air Balloon Wooden Cake Decoration Topper, ideal for vintage, rustic weddings. · Approx: dimensions: 14.5m · Personalised with your surname. Please allow 5-7 working days for engraving and despatch of goods.